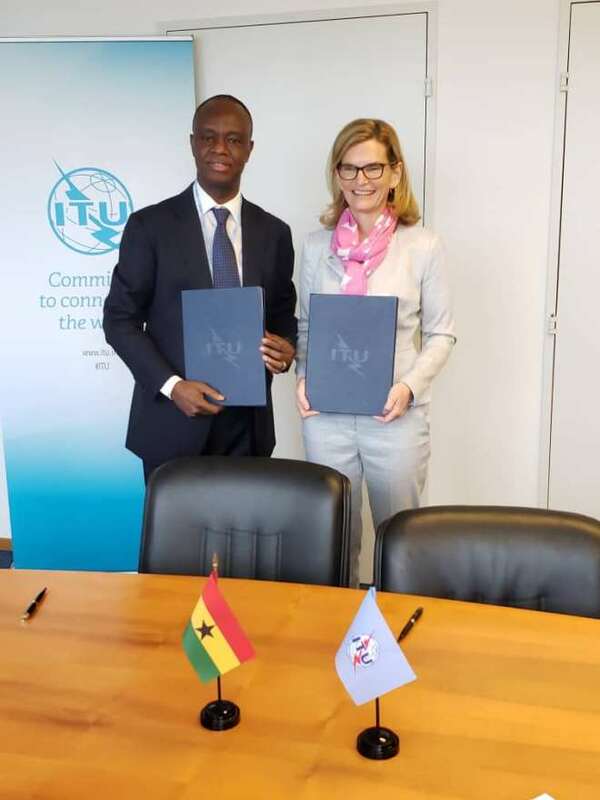 Ghana’s telecommunications regulator, the National Communications Authority (NCA) has been selected by the International Telecommunications Union (ITU) as a training partner for the delivery of the Quality of Service Training Programme (QoSTP). This follows the NCA satisfying the requisite conditions set by the global telecommunications body. 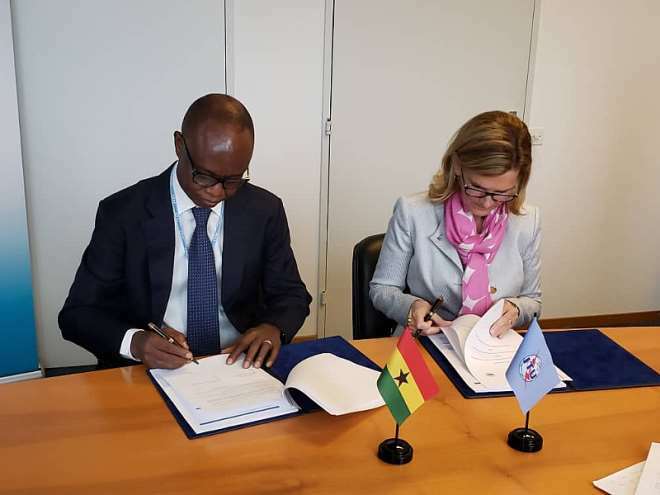 Signed for the NCA by Mr. Joe Anokye, the Director General and for the ITU by Ms. Doreen Bogdan-Martin, the Director of the Telecommunication Development Bureau, the licensing agreement enables the NCA to deliver ITU licensed QoSTP in Ghana to interested regulators and operators across Africa and the world. 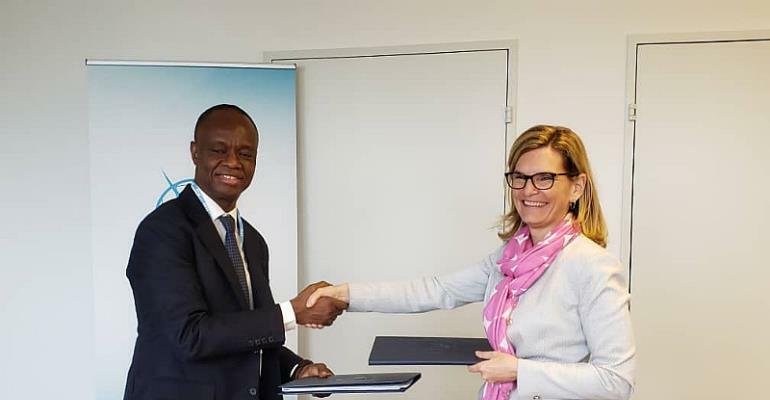 The agreement was signed on Thursday, 11th April, 2019, in Geneva, Switzerland, during the on-going 2019 World Summit on Information Society (WSIS) Forum. The Director of BDT, Ms. Bogdan-Martin, said the ITU was thrilled to be signing this agreement as QoS is a big issue and there is the need to strengthen collaboration on this for the benefit of other developing countries. She expressed the hope that the QoSTP would go a long way to boost quality communications services and said that the ITU was ever ready to support Ghana in the delivery of the training. In his remarks, Mr. Joe Anokye said, this was a great feat for Ghana and that this would result in recognition for the Authority and Ghana as a whole. He expressed his appreciation to Honourable Ursula Owusu-Ekuful, the Minister for Communications, Ghana, under whose able supervision and leadership the NCA was able to further develop its QoS regulatory monitoring. He said Ghana was a valuable partner in the development of ICT infrastructure and that the active participation of the Minister for Communications and the Authority in ICT and ITU related issues were yielding results for the country. He added that, the Authority has within the last few years, invested heavily in technical monitoring equipment which is enabling the NCA play its regulatory role and ensure compliance of all required QoS Key Performance Indicators (KPIs) for the satisfaction of consumers. Amongst the equipment purchased included the Network Monitoring System and the Nemo Quality of Service System for Drive Tests. Mr. Anokye said that the Authority had since installing these QoS systems, also installed other systems including the Broadcast Monitoring System, the NCA Computer Emergency Response Team, the Type Approval and Conformance Laboratories and added that some sister regulators had been visiting the NCA for study trips and benchmarking on these systems. As a forward looking regulator and acknowledging the fact that the Communications Industry was continuously evolving, the Director General said, it was incumbent on all regulators to adopt new measures of regulating the industry and ensure that consumers who would be using new and innovative services, would enjoy the quality of experience they had signed up for. Furthermore, he said routine monitoring would also help support Government’s digitisation agenda by ensuring that the relevant communications network and services on which digital services ride on were always available. The QoSTP was developed in accordance with the ITU Plenipotentiary and World Telecommunication Standardization Assembly Resolutions on Bridging the Standardization Gap. QoSTP was developed under the auspices of ITU Human Capacity Unit and was reviewed by ITU-T Study Group 12, the lead study group on Performance, Quality of Service (QoS) and Quality of Experience (QoE). QoSTP has been accredited by the European Association for Quality Assurance in Higher Education. The QoSTP has Basic, Medium and Advanced modules for various expertise development. The Basic module provides a broad overview of QoS for Senior Level Management. The Medium module provides QoS/QoE, End User Equipment, Fixed Network QoS and Mobile Network QoS Specialists. The Advanced module is for End User Equipment, Fixed Network QoS and Mobile Network QoS with thesis required as part of the training. The NCA plans to introduce the Basic module as well as the Medium modules on Fixed Network QoS and Mobile Network QoS from February 2020, and the training would lead to the award of accredited certification from the ITU. The NCA has Quality of Service Experts involved in ITU Standards on QoS, as well as facilities, equipment and processes for practical delivery of the programme.